MOGADISHU (HAN) February 6, 2016 – Public Diplomacy and Regional Stability Initiatives News. An explosion that occurred aboard a passenger plane after it took off from Somalia’s main airport on Tuesday, forcing it to make an emergency landing, was caused by a bomb, officials said Saturday, adding they had made arrests. 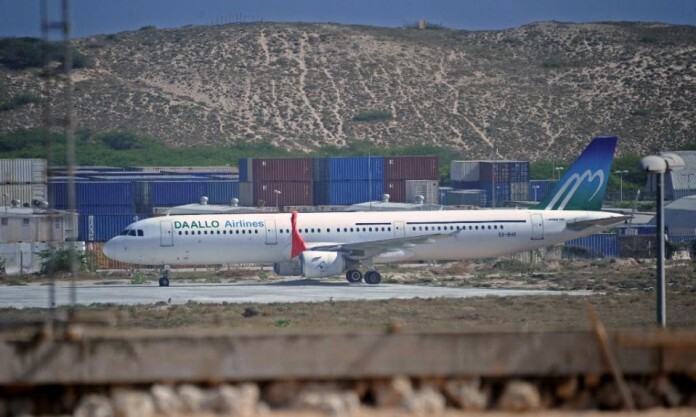 “Additional investigations conducted by Somali and international experts have confirmed the explosion that occurred inside the Daallo Airlines (jet) was not a technical problem but was a bomb that was intended to destroy the plane and kill all passengers onboard,” Somali Transport and Aviation Minister Ali Ahmed Jama told a press conference in Mogadishu. The blast punched a one-metre (three-foot)-sized hole in the side of the Airbus A321 about 15 minutes after it had taken off from Mogadishu heading for Djibouti. 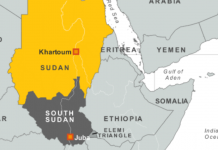 A passenger identified as Abdulahi Abdisalam was killed, probably after being propelled out of the aircraft in the explosion, investigators said. Two out of around 60 passengers on board were slightly injured. The pilot, a 64-year-old Serb named Vladimir Vodopivec, told a friend that he was convinced the blast had been caused by a bomb, according to the Serbian daily Blic. The explosion did not damage the plane’s navigation system, and this is what enabled the pilot to make the emergency landing, the report said. In their initial appraisal, the Somali authorities attributed the blast to sudden air decompression. Daallo Airlines operates out of Djibouti, flying to destinations in the Horn of Africa and the Gulf.